Netflix downloads just became smarter! Apple users can rejoice, now that Smart Downloads have come to Netflix’s apps for iOS. 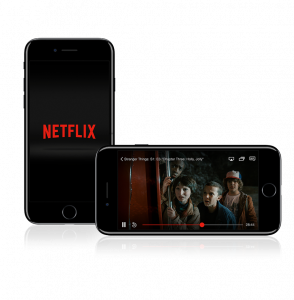 While Android users have had this Netflix feature available since mid-2018, it has taken until now for Smart Downloads to roll out to iPhone and iPad users. When Netflix first enabled the option to download certain content to your device, it solved a lot of problems for users. Spending hours on a plane and don’t trust the in-flight entertainment? Download some Netflix. Don’t have enough mobile data to stream on your daily commute five days a week? Download your latest Netflix binge before you head off to work. Well, now these downloads have become… smarter. Smart Downloads do all the work for you. Switch the feature on and once you’ve watched an episode of a show, Netflix will delete the episode you just watched, and automatically download the next episode once you’re connected to Wi-Fi. This means you don’t need to worry about downloading whole seasons in one go, and no more concerns about downloads taking up too much space on your device. If you want to turn this feature on or off, simply go to your ‘Downloads’ section, select ‘Smart Downloads’, and toggle the button off or on. Alternatively, you can find the ‘Smart Downloads’ toggle button if you go to ‘App Settings’ in the app’s main menu. What should I binge-watch on Netflix? The Smart Downloads feature is only useful if you have something to binge-watch – and the good news is that at Canstar Blue, we have the scoop on what shows Aussies can’t get enough of right now. So if you’re looking for the next big thing to watch, you can check out the results of our Australia’s favourite Netflix show survey.